The autumn came very quickly and intensively this year. It got cold quite quickly… and then appear the colors of autumn. The “Schönbuch” is a forest area, under protection, just next to my home-town Holzgerlingen. Of course the pathways in the forest are not paved, so with the road-bike we have to go “around”. Which is a quite nice tour, with some really great views, and can be made between 65km and 80km long. We’ve done this a few times this year, on different routes, and today was a nice Saturday to repeat another variation. Over the broad B464 “highway”, which is currently quite deserted due to road-constructions which causes most cars to go a long de-tour. 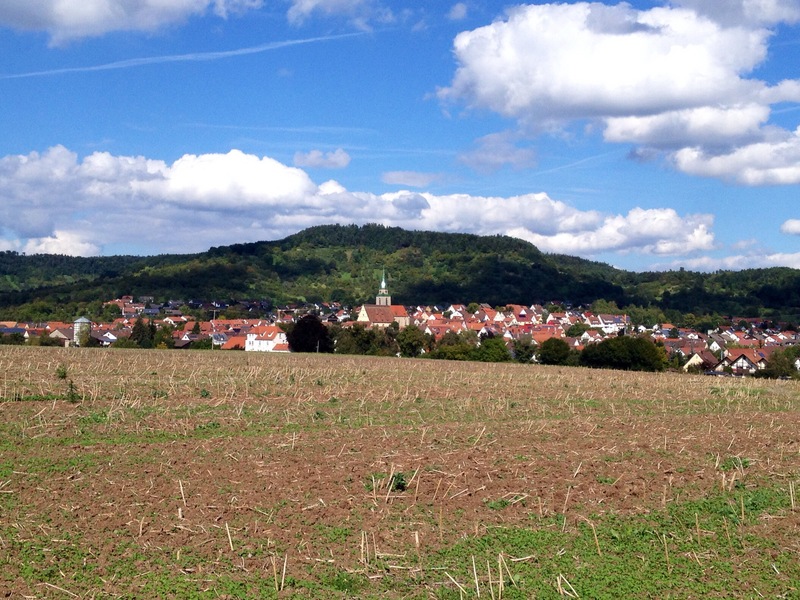 Road for the bikes… This time we went to Pfrondorf and down to Kirchentellinsfurth. Quite a few times already we climbed this hill, and are usually a bit exhausted as this is then one of the last climbs of a larger tour. Today downhill… and that is really nice. 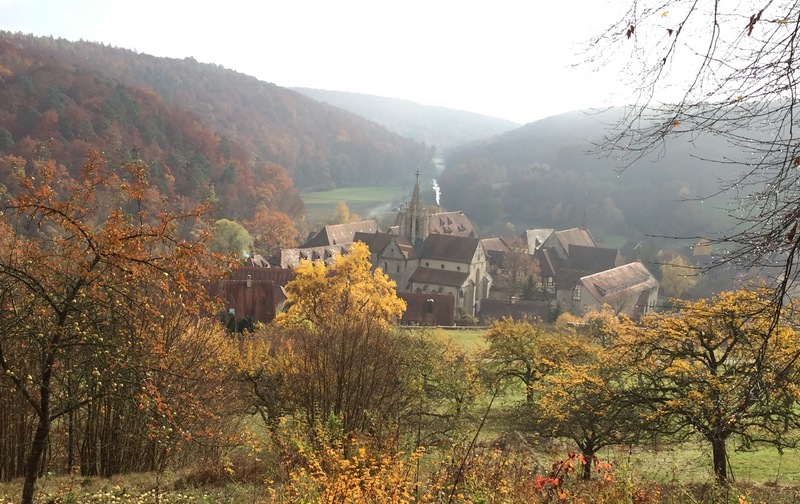 So we continued via Tübingen towards Entringen. The colors were really great today. It is still summer, but the sun is not anymore coming straight down, so it seems like the colors are more intensive. The white clouds against the blue sky were fantastic today. And going over hills… you often have fantastic views. 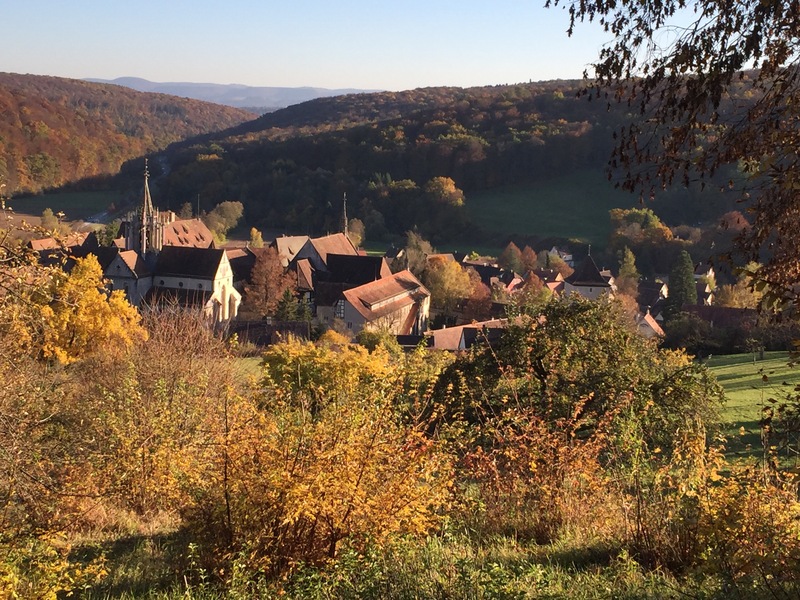 First towards the “Schwäbische Alb” and then towards the Schönbuch again, with the town of Entringen. Had to take a picture. All in all we did a relatively relaxed tour today, 72km and 540m altitude with 26,6 km/h. After a rainy week, we were once again lucky with the Saturday weather. Unfortunately the Sunday forecast is bad, rainy 🙁 .